Suzuki Motorcycle India will soon foray to the maxi-scooter segment which is new in India. The Burgman Street 125, which was showcased at the Auto Expo in February, is expected to be launched in July. Suzuki Motorcycle India Private Limited (SMIPL) had revealed Burgman Street 125, a 125cc luxury scooter, at the Auto Expo 2018 in February. It had managed to attract a lot of eyeballs while there was no news regarding the scooter after the show apart from some rumours that claimed it will be launched in April. 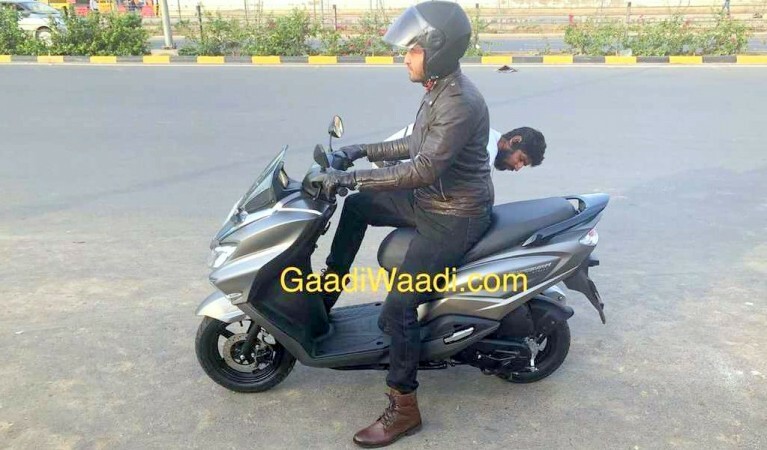 It looks like Suzuki Burgman Street 125 is finally ready for launch as was spotted during a TVC shoot in New Delhi. 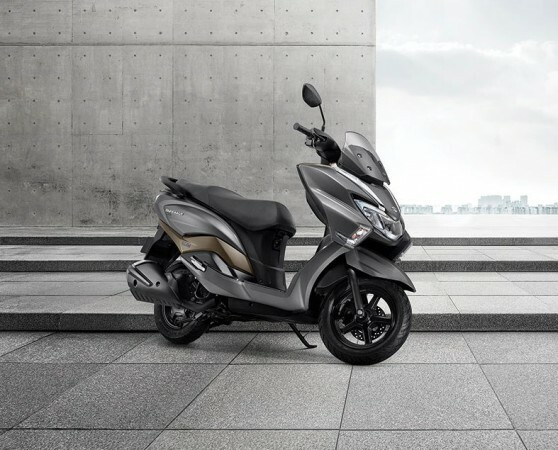 Though Suzuki has not mentioned the launch date yet, a report in Autocar claims Burgman Street 125 will be launched in July and will be the flagship scooter of Suzuki, positioned above Access 125. Unlike the usual scooters in the market, Burgman Street 125 features a maxi-scooter style design which is new to India. As the scooter market gets serious traction like never before, Suzuki's entry into the maxi-scooter segment is a bold step. The Burgman nameplate is not new in Suzuki's portfolio. The automaker sells Burgman branded maxi-scooters in 125cc, 200cc, 250cc, 400cc and 600cc guises in the international markets. This will be the first time Burgman brand coming to India. Since it is a maxi-scooter, Burgman Street 125 features a flamboyant design highlighted with a large front apron. The scooter has a wide stance and wider seating arrangement confirms a comfortable ride for both rider and pillion. Features such as LED headlamps, body mount windscreen, flexible outstretched foot position and front disc brake will be offered as standard. The scooter packs a 12V charging socket, tubeless tires, fully digital instrument cluster and a multi-function key slot. It also gets front storage compartment will have a 7-litres capacity and a fuel tank of 10.5 litres. Burgman Street 125 will draw power from a 125cc mill. The mill in question is expected to be the one currently does duty in the Suzuki Access. It produces 8.6hp at 6,500 rpm and 10.2Nm at 5,000rpm. The maxi-scooter will be employed with a telescopic fork up front and a monoshock at the rear. The scooter will run on a 90/90-12 tire at the front and a 90/100-10 one at the rear.